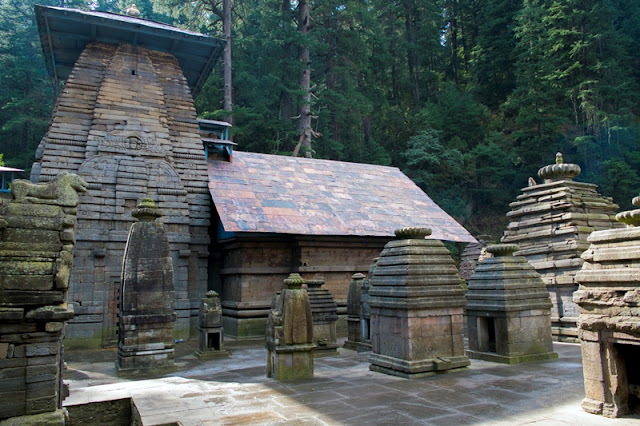 Kumaon and Garhwal are the two regions of the mountainous state Uttarakhand. The first thing that comes to our mind when we say Kumaon is Nainital. 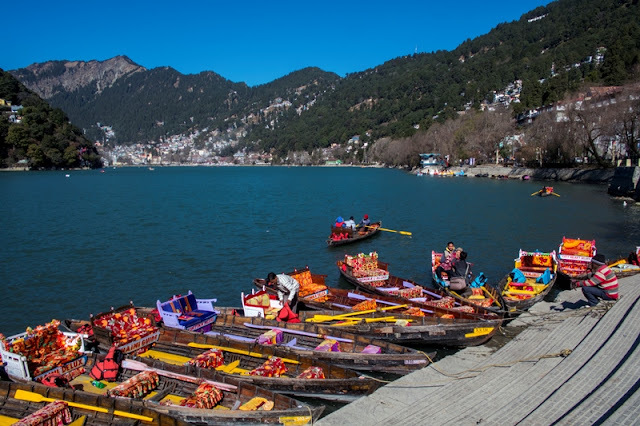 Nainital is one of the most visited hill station in India. 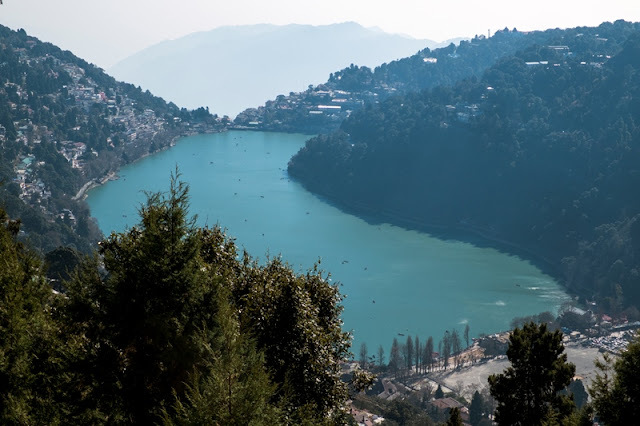 However other than Nainital there are several other "Tals" (which means Lake), beautiful hamlets and forests in this region. We started planning from Nov '15 when 2 of my school friends showed interest. We planned to stay in 7 different location, visit as many as we could and hoped to see some snowfall in Munsyari. 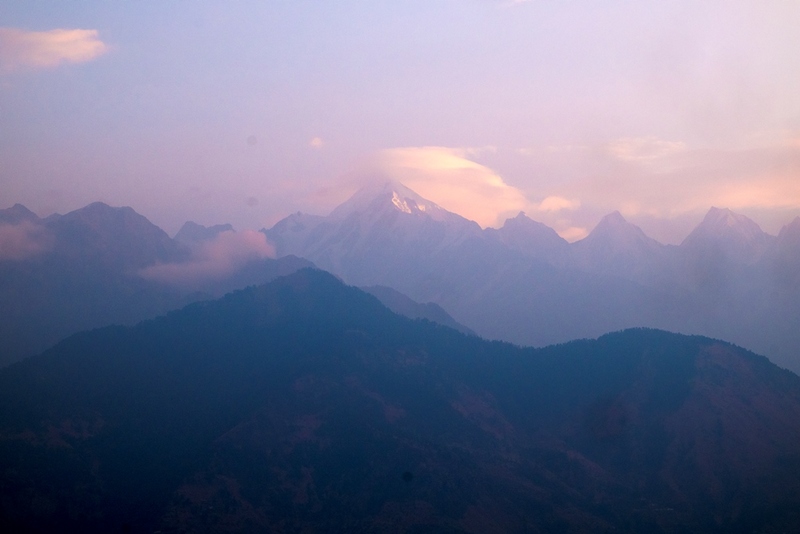 Kumaon region is famous for outer Himalaya peaks and Panchachuli peaks. These peaks can be seen from places like Kausani, Almora, Chaurkori, Munsyari. 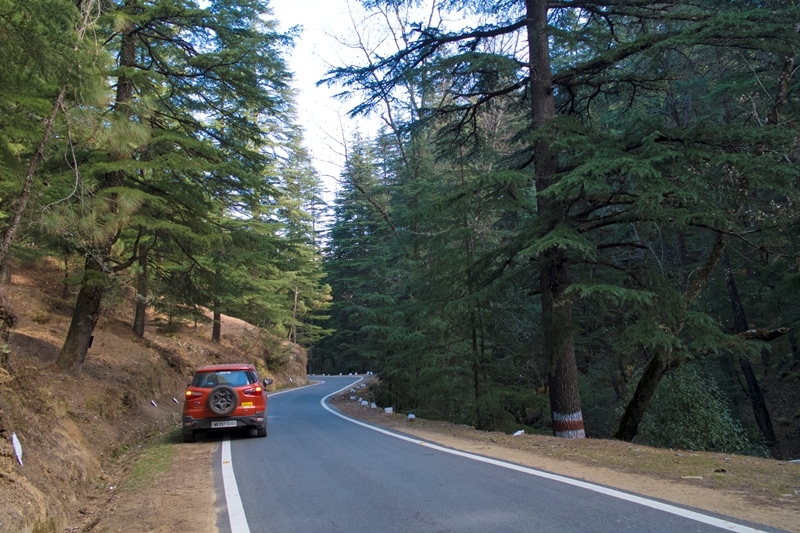 After reading many travelogues in Team-bhp and going through road updates and weather updates the plan was finalized. There were lots of places we could visit, but we had only 8 days . Luckily GoIbibo was giving huge discounts on hotels which helped us reduce the overall trip budget. All the hotels were booked online (I will share hotel details and the end of the log). Kolkata to Lucknow is mostly highway. Time takes to cover 900 km depends on what kind of traffic you are facing. Keep an eye on the Bihar-Jharkhand border in google maps for traffic situation, this particular border is notorious. Other than this the entire ok. There are two reasons to stay in Lucknow. First it is the halfway to Utarakhand from Kolkata. There are good and cheap hotels in Lucknow. The city itself is very beautiful. But the second reason is important. 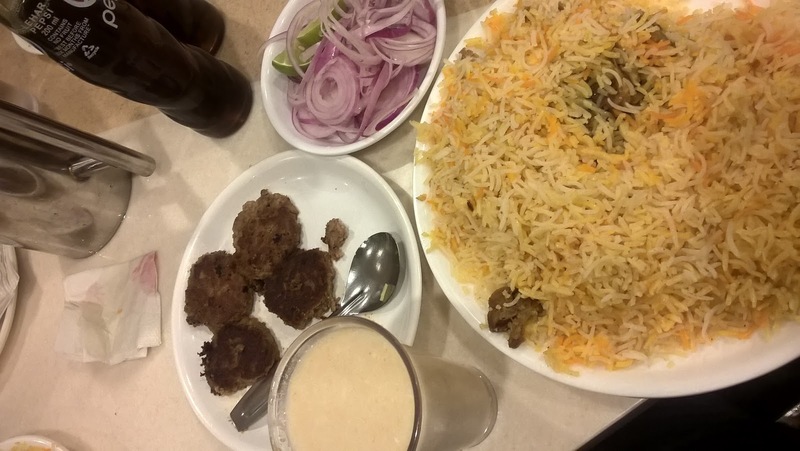 "Biriyani" and "Tunday Kabab". We hired a local Auto to visit Aminabad. 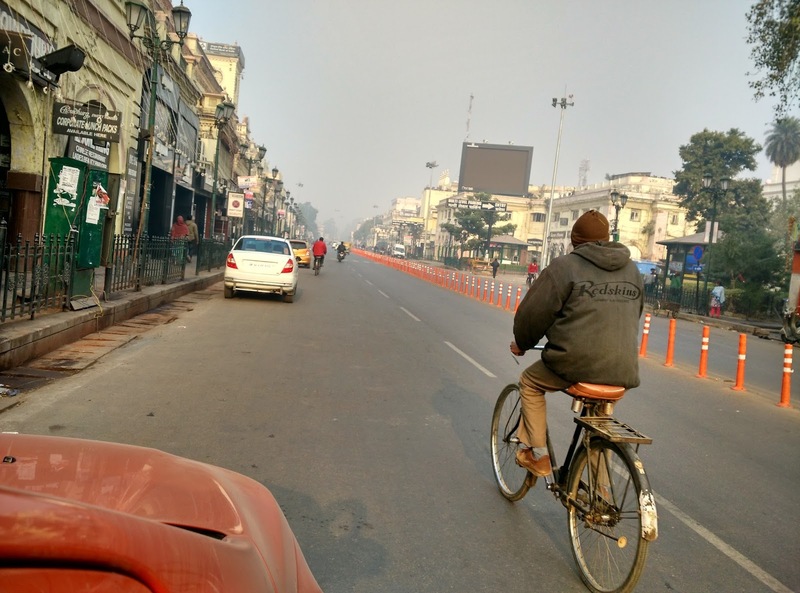 Aminabad is a market place in the heart of Lucknow where once can find lovely biriyani and kebabs and lots of chikan embroided garment shops. We kept the shopping part for our return journey and only had a lovely dinner this time. Next day we woke up at 7, had our complementary breakfast and started around 9. Lucknow in the morning looked almost same as Kolkata, the only difference was Kolkata has frequent traffic signals than Lucknow. Lucknow to Kathgodam was simple and plain journey, nothing much to write about. 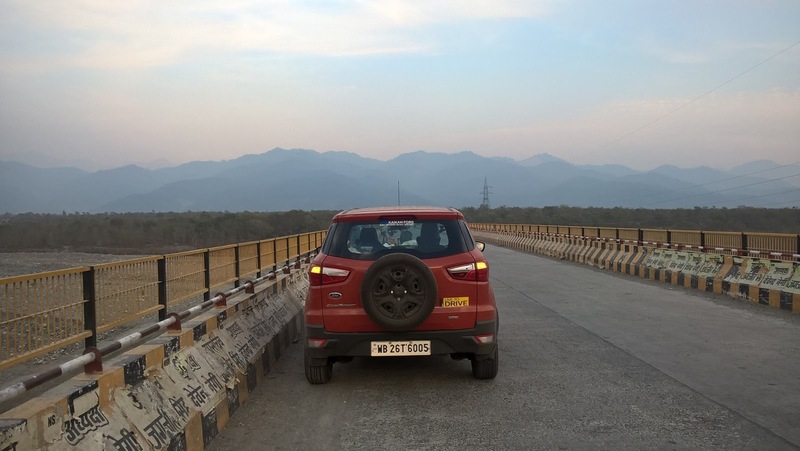 We took the Lucknow > Sitapur > Bareilly > Haldwani > Lucknow. Lucknow to Sitapur is 4 lane highway, Sitapur to Bareilly was devastating dual carrigeway and had lots of diversions. 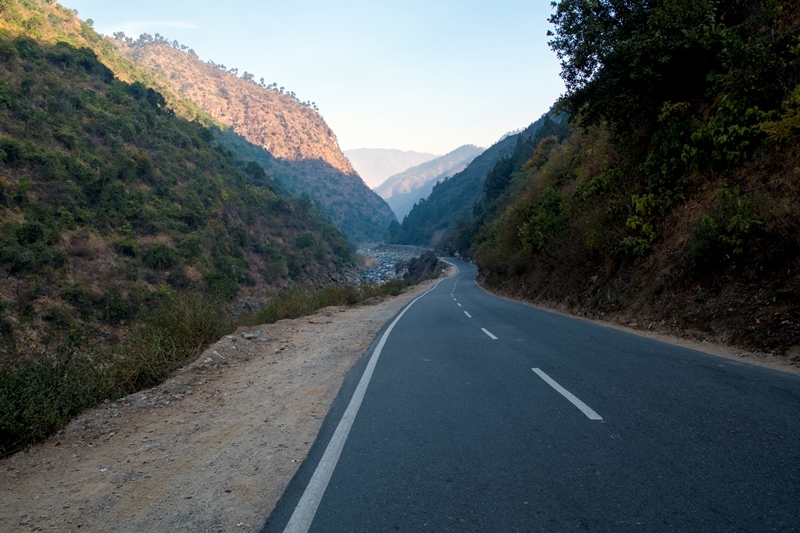 After Barielly roads were good, and once you enter Uttarakhand roads become better. We reached Nainital and checked into the Hotel in the evening. Rest of the evening was spent doing nothing and most importantly we all needed rest after 2 days of driving. Staying at Nainital the next day wasn't a bad idea. The entire day was spent roaming around the city and the entire evening doing little bit of shopping. Initially we had plans to stay at Almora, but after reading few logs I changed my mind and planned for Kausani. Almora hardly 2-3 hours drive from Nainital, so instead of staying at Almora we planned to visit Jageswar and spend the night at Kausani. 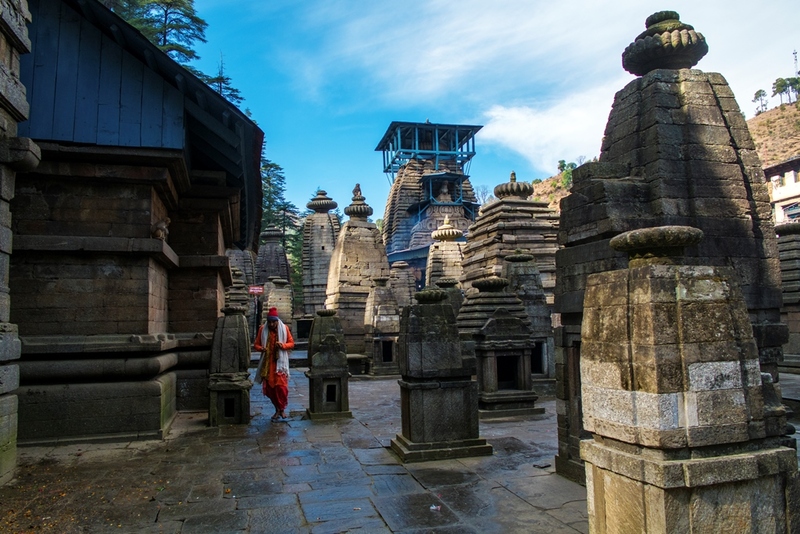 Both Almora and Kausani are beautiful place to stay and they have decent hotels and food outlets. 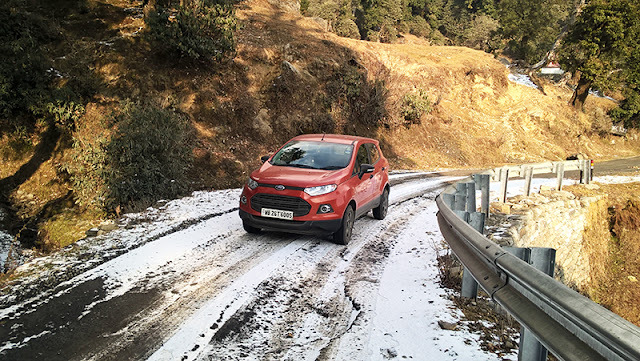 But as we were planning to go further north staying at Kausani seemed to be more practical. I didn't expect the road condition to be so good. I knew Munsiyari was very far from Kausani, but somehow the hotel boy managed to confuse me and I thought it was only 60 km away . So we slept very late and couldn't wake up before 8 am. 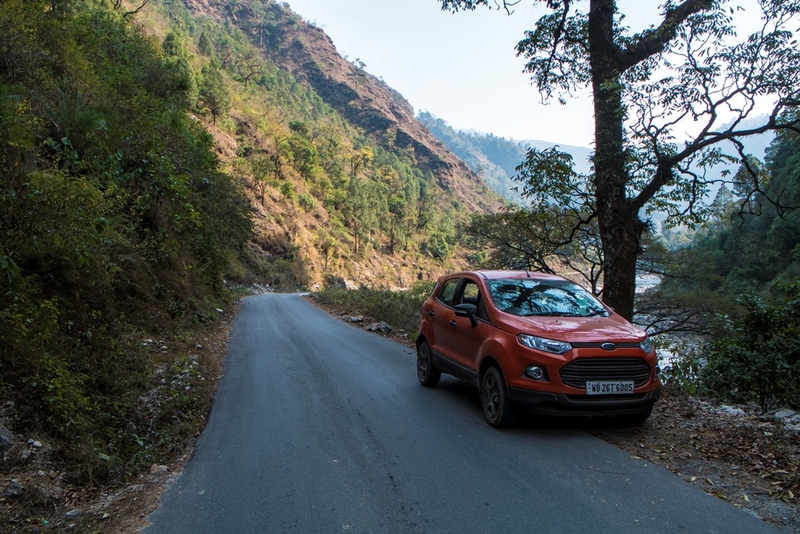 After we started at Bageswar when I asked a local he confidently showed me the longer route. Google maps showed Kapot but we went via Chaukori. The road went alongside river Ramganga. 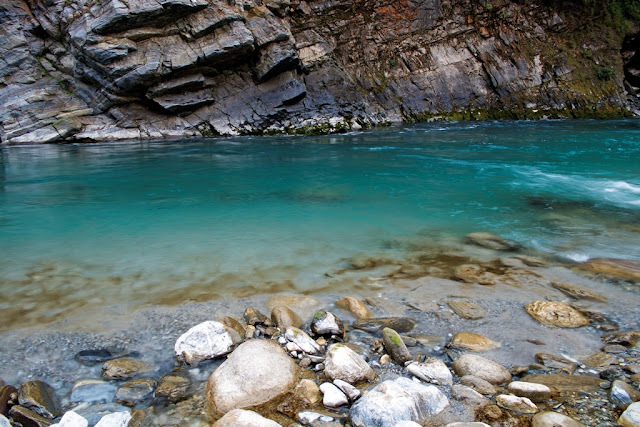 At one point of time we saw complete turquoise blue color water and we couldnt resists ourselves to stop. The entire road was brilliant. Few kms before Munsiyari there are hairpin bend where the road was broken and seemed to be under repair. The hotel we booked was the few kms before Munsiyari town. The reason we came so far to Munsiyari was to see snowfall and the Himalayas. Unfortunately we were out of luck. 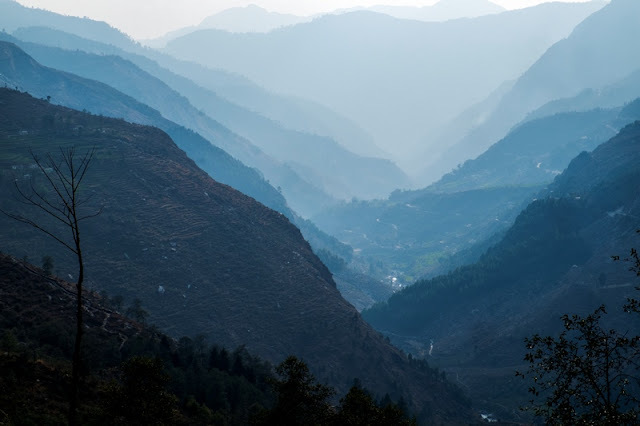 Munsiyari is a small town and possibly the best place to see the Panchachuli peaks. It is also a favorite sport for the trekkers as many high altitude treks starts from here. There are no public and derivable roads after Munsiyari. 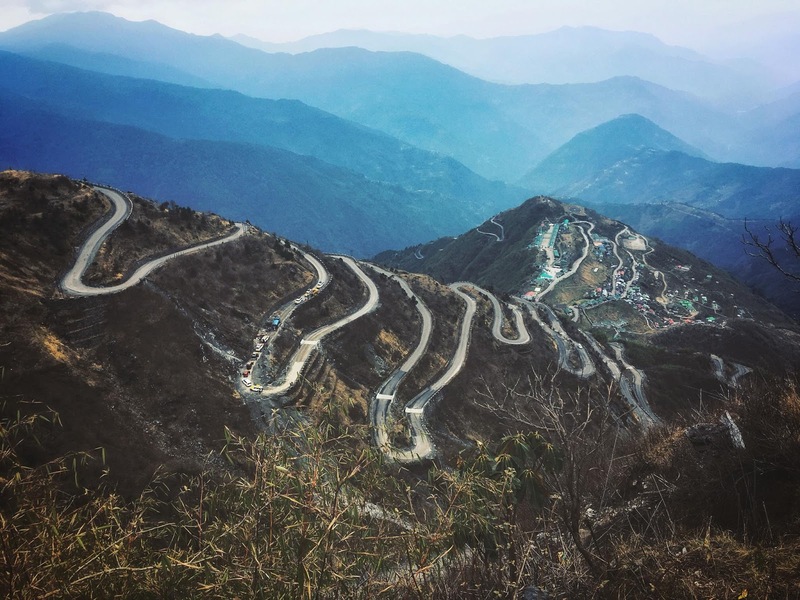 Both the hotels in Kausani and Munsiyari were located on the slop of a hill, naturally the Panchachuli was just in front, its just we came a bit early. I did really enjoy the drive all the way long but my wife was a bit disheartened. This was the day we would start our return journey. The morning was very cold and cloudy, so we couldn't even get a glimpse of the Himalayas. Still I woke up before the sunrise with a very little hope in my heart. Ofcourse we couldn't see much but enjoyed whatever we saw. We expected snow but we got frost. Due to chilling temperature at night there were frost all over the place. The hotel manager told that we were at least a week early for snowfall and showed us few picture of snowfall. While returning we stayed at Lucknow again to have biriyani. This time we asked few locals to find the best joint shop at Aminabad. They led us to Alamgir, a small biriyani counter opposite to Tunday kababi. Its a small restaurant compared to Tunday but I had the best biriyani of my life there. I would advise anyone who is visiting Lucknow to try this restaurant. This was my longest road trip so far and yet there wasn't any fatigue any day during the trip. 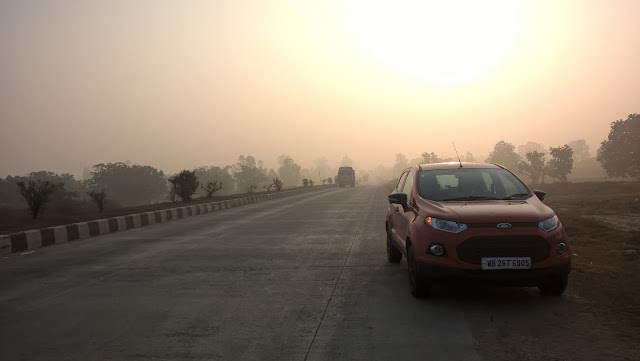 The EcoSport was a champ throughout, it never gave a single problem. Road trips are always fun, and when you have good co-travelleres road trip becomes amazing. People often ask why drive so much and take risks to travel when there are trains and planes available, I could never answer them and problem never can, The best way to make them understand I think is to take them with us in a road trip. I have booked all the hotels from goibibo, as they were giving massive discount during off peak season. All the hotels except Nainital was fabulous. 3. Kausani- Nature's valley resort- 900 per room. Brilliant view. 4. Munsiyari- Milam Inn - 1300 per room. Brilliant view again. Inspiring,exciting.well planned and structured and equally well presented. The travel writer prasanjet Nath. I so agree with your feelings about the magic and pleasure of road trip...My husband and I have covered so many places in Maharashtra including Goa...and honestly nothing can match up the pleasure of enjoying the sunrise and sunset behind the mountains while driving. Must say you have captured the whole trip in such a nice way that while reading I was feeling in the same journey. Awaiting for some more write ups in future! Good to hear that..Road trips are always fun, its funny though that people think of road trips to be risky and difficult..
Keep enjoying. Nice blog writing.